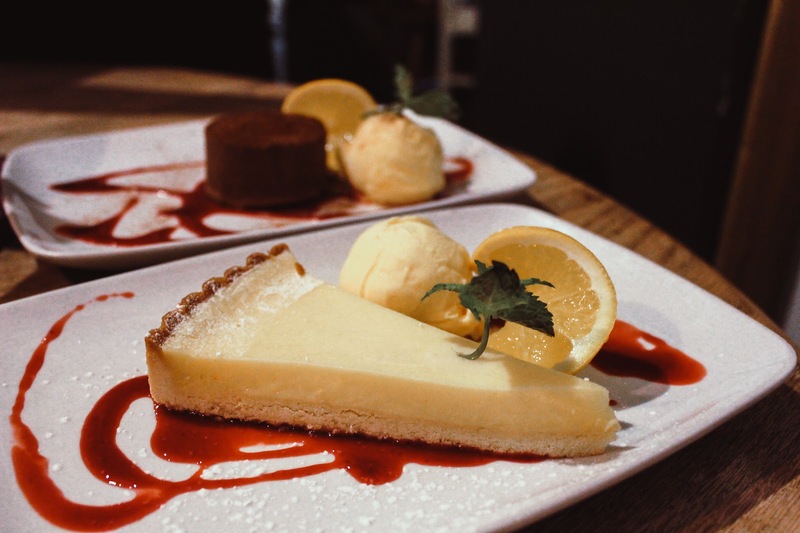 Eating in Southampton is one of my favourite things to do, hell eating is one of my favourite things to do so when Gusto Lounge in Southampton got in touch with an offering of delicious food, a cocktail menu and the promise of a fabulous evening, I said yes. Obviously. 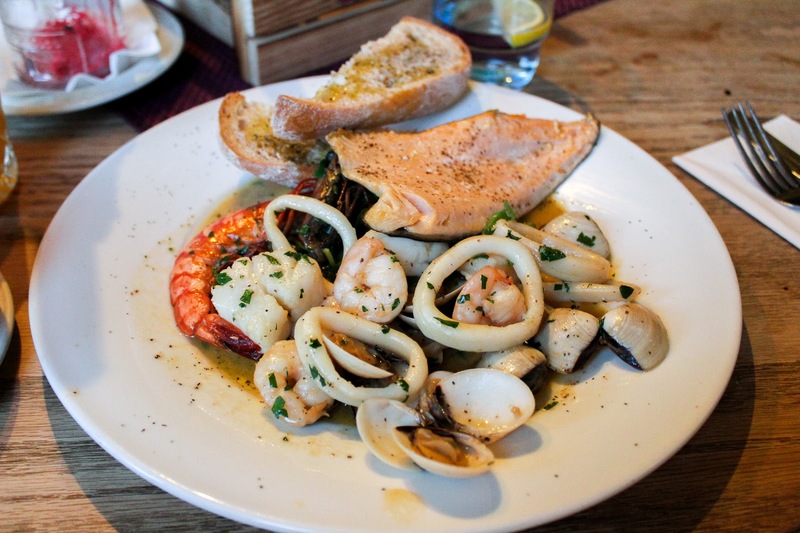 Gusto Lounge is an Italian restaurant situated in the city centre and serves warming Italian food, yummy seafood and the best warm bread and oil you'll find in Southampton. Seriously, it was something else. I've walked past Gusto many times and have never been in and now I'm kicking myself because WHAT a surprise, I can tell ya. 1. 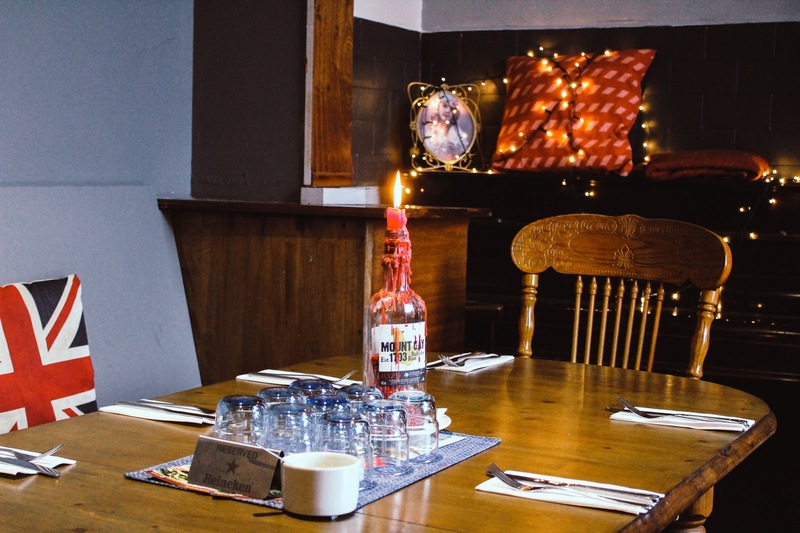 Gusto Lounge is set within a beautiful Victorian Building and as you step inside you'll discover little nooks and crannies full of tables, low lights, beautifully lit candles and shelves dedicated to the Royal Family. There was so much to look at and we spent a lot of time pointing different things out and having a laugh over the commemorative plates. Not something you see in every Italian but I think it gave it a nice quirk. 2. The cocktail menu has such a great choice available and it was a bit different to what you would usually find which made a nice change. I had a Dark & Stormy, dark rum, ginger beer and lime while Ro had a Sweetheart which was limoncello, Aperol, vodka topped with cranberry and lemon juice. Cocktails start from JUST £5.95 which is practically unheard of nowadays. 3. The nibbles available were a big hit. 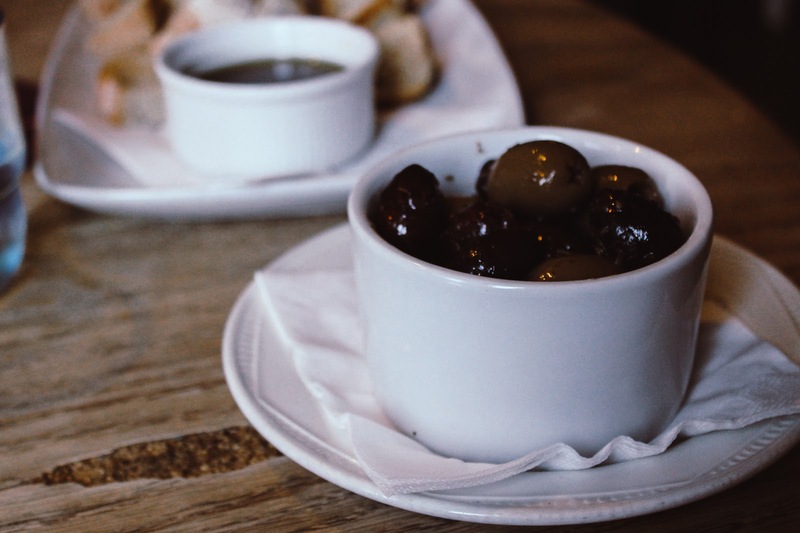 As I've already mentioned, the warm bread with oil & vinegar was incredible and we also had some very juicy olives. 4. 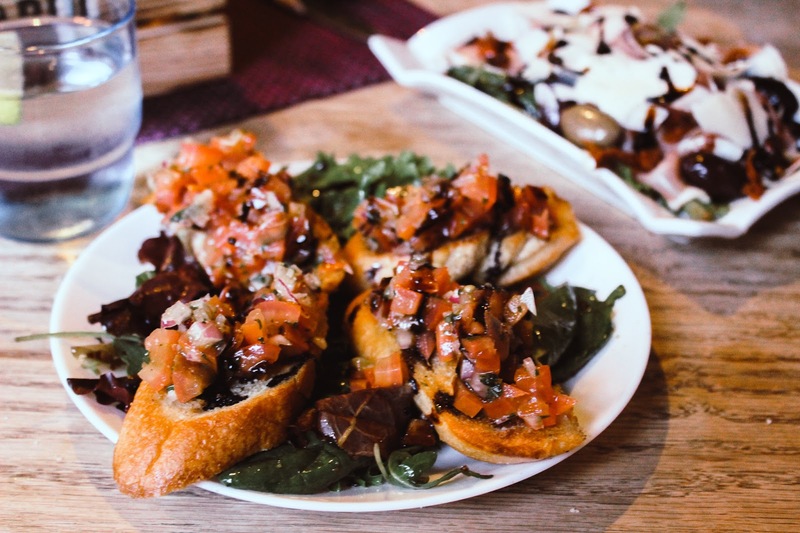 The starters were what you'd expect from an Italian but I had, hands down the BEST bruschetta I have ever had in my entire life. It was incredible. So yea.. go for the bruschetta if you don't go for anything else. 5. The menu was full of choice from build your own burgers, to pizza and pasta but what got us drooling was the specials. 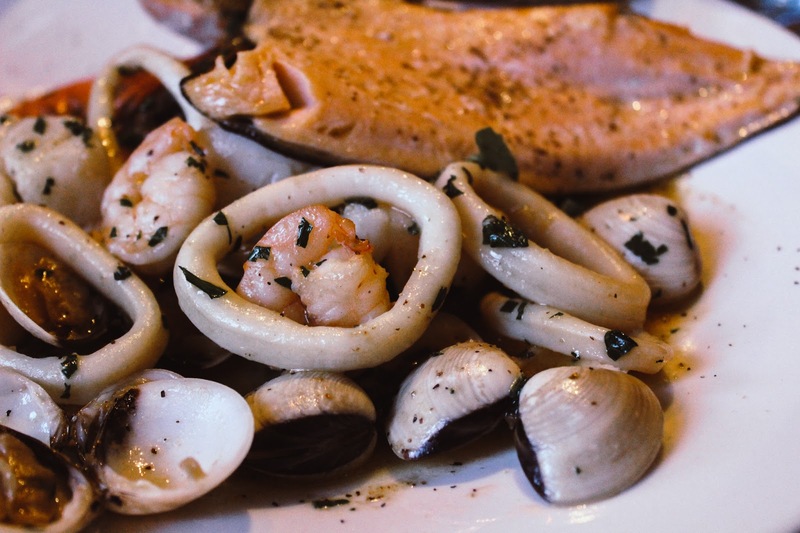 The specials board changes most days with a mix of pasta, seafood, meats and more. There was a really great selection and we both ordered seafood based dishes. I had the seafood platter while Ro had the marinara risotto. Prawns, prawns and more prawns! 6. Dessert. The dark chocolate torte was AH-MAZING. I had the Lemon Tart which was yummy but Ro chose better. The chocolate melted in your mouth to release a burst of flavour and I've thought of it fondly over the last few days. I would go back for that.. oh and the bread and oil of course. 7. Another really enjoyable part of the night was the service. Gusto Lounge were so welcoming, so attentive and the service didn't falter, even when the restaurant filled up. They even took the time to give us a little tour before we left which was great as there is a fab room upstairs ideal for venue hire. 8. Other than the bread and the oil, everything. 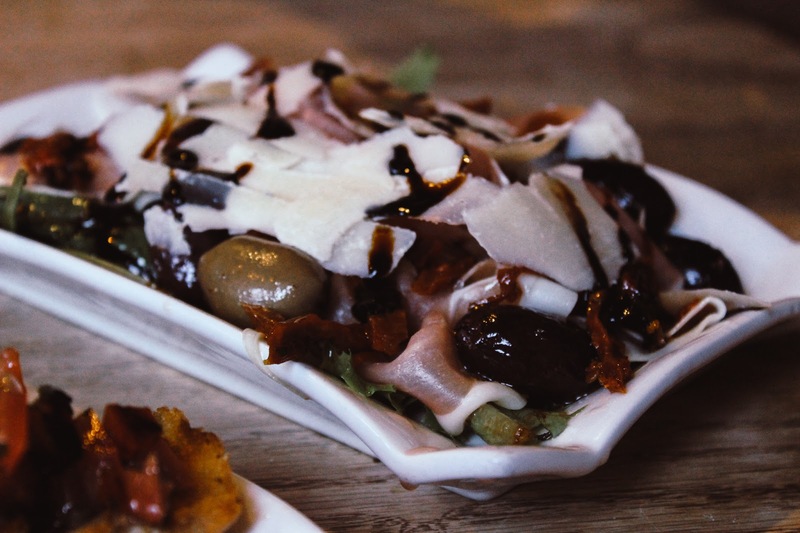 There are so many reasons to visit Gusto Lounge, from the food to the service and the beautiful building to the atmosphere and quirky interior. 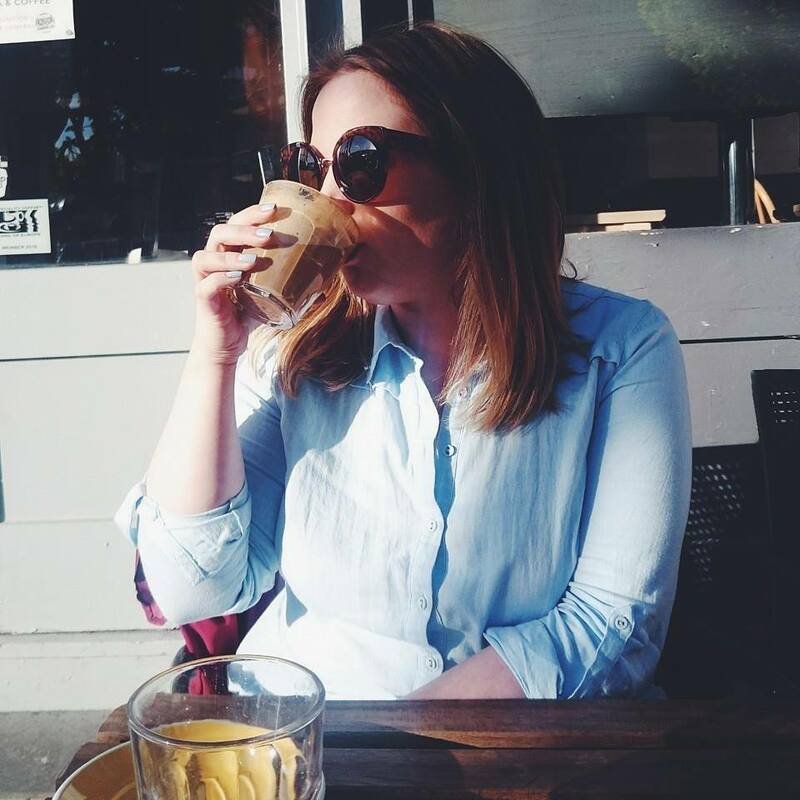 It's a not so hidden gem that should definitely be on your to try list if you're looking for somewhere to eat in Southampton.